Sit around the campfire and read about how Buy Sell Unlock grew into the company it is today. 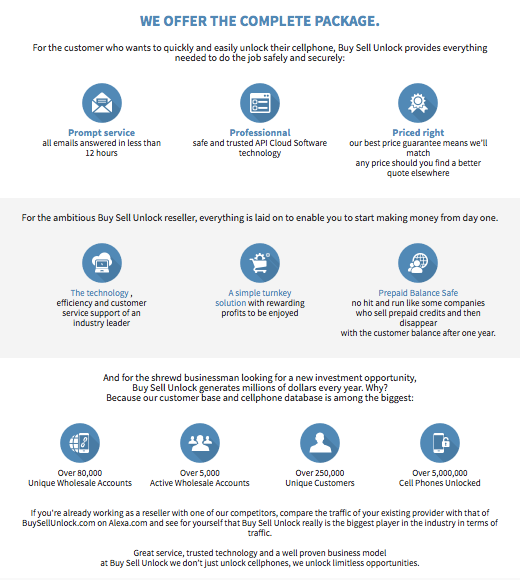 Founded in 2004, Buy Sell Unlock is an industry leader and one of the most trusted online cellphone unlock sites on the web today. Buy Sell Unlock is truly an international company. While it was born and raised in Los Angeles, California, it serves happy customers from just about everywhere, including the United Kingdom, Europe, the BRIC countries (Brazil, Russian, India, China) Africa, and even the tiny Republic of Kiribati in the Pacific Ocean! With over 13 years of experience in the remote unlocking business, and a top team of world-class developers and suppliers from around the world, we can always provide the fastest, most efficient cell phone unlocking system money can buy. "We can unlock any device, for the lowest price."